For years I told myself I needed certain things in place to become a writer. Life experience. Money. Maturity. A unique story. Chances are, you’re telling yourself something similar. I’ll be a writer when I’ve landed a publishing contract. I’ll be a writer when I’m famous. But there’s only one thing that makes you a writer- writing. It’s the persistent, consistent act of showing up and putting words down that counts. Even if you only do so five minutes a day, over time you will build that manuscript. Every word improves your chances of success—because you can’t publish an unwritten story! You also need to tackle your mindset. 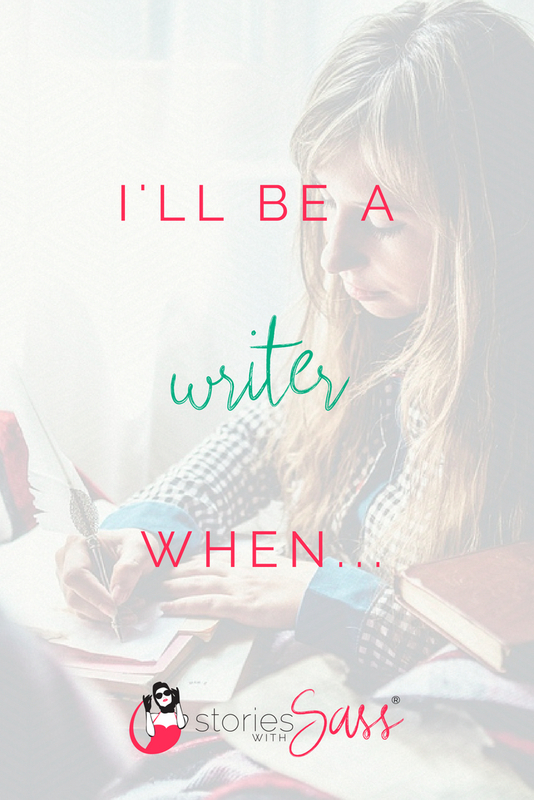 Instead of telling yourself ‘I’ll be a writer when’, tell yourself ‘I am a writer.’ By repeating this statement regularly (at least twice a day, but as often as you can is best), you will being forging new neural pathways that support your desired goal. As a result, you’ll attract people and opportunities that will help you on your writing journey, instead of self-sabotaging with negative beliefs. There is room for everyone’s story, so make today the day you become a writer in your mind and in your actions and claim your slice of the writing world’s pie. It’s waiting for you, if you’re willing to put in the work to claim it.